De Vere Slaley Hall owes is existence to Samuel Hunting who first purchased the estate lands in the late 1800's and it remains today a symbol of Edwardian elegance and a grand retreat from the hustle and bustle of everyday life. Set amidst 1000 acres of prime Northumbrian forest and moorland, the first nine holes of the Hunting Course opened for play in 1989. By 1990, the completed course won high acclaim and since then it has matured and undergone subtle improvements. 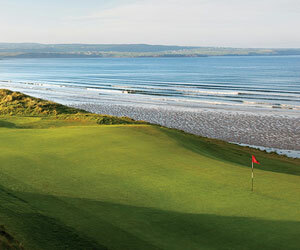 The second championship course, the Priestman opens in May 1999. The club facilities and amenities include a 4 star luxury hotel and spa, club house bar, locker room and pro-shop. Golf Academy and driving range. Play De Vere Carden Park, Chester for only £60 per fourball. Price includes Coffee or Tea and Bacon roll on arrivall and 18 holes over the Cheshire Course. Available Monday to Thursday inclusive. November & December 2001. Measuring 7073 from the championship tees, this Dave Thomas designed course incorporates forest, parkland, and moorland with an abundance of lakes and streams. The challenging par 4, 9th (52 yds) is played over water through a narrow avenue of towering trees an dense rhododendrons. An official PGA European Tour Venue an hosts he Compaq European Grand Prix. The Priestman course, designed by PGA Chairman Neil Coles, will be of equal length an standard as the Hunting course, making Slaley Hall one of the few resorts in Britain with two genuine championship courses. Opening in may 1999, the Priestman course is situated in 280 acres on the western side of the estate and will give golfers panoramic views over the Tynedale valley. Ladies yardage:- 5790, par 75. As a platinum member for the past three years, part of the package is a 4 ball round of golf. Having played Slaley since it was opened, when the Hall was nowhere near opening, the improvement of the course since De Vere took over is significant. The layout was always good, but certain greens were badly effected by lack of sunlight due to trees. The course is now an excellent challenge with the green staff doing a magnificent job. The course is not easy and if you don't put the ball in the right place, it can be a card wrecker. Bunkers are first class, rough is rough. But the main improvement over the past 12 months are the greens, which were brilliant. We go as an eight-man squad, and on a stablelford handicaps of 4 to 9 you will be in the money with 34-36 points on a good day. If the wind gets up 30-32 points will suffice. 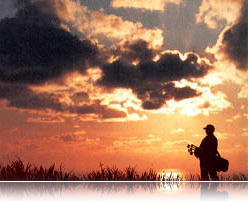 If you like your golf you will find no better a test than the Hunting course. If you are in the area you must go and play Slaley. The course certainly lived up to our expectations, having often seen it on TV when the European Tour makes their annual visit. As with most televised courses, you do not get a proper perspective of the sharp elevations on the course. It is definitely a stiff test of golf, although all four of us managed to break eighty gross on both days, thus playing to our handicaps or better. Overall we were highly impressed with the whole complex not simply the golf courses, so much so that we are now examining the possibility of acquiring a timeshare in one of the superb lodges on the estate. Slayley Hall resort is a golfer's paradise, and well worth a visit for those who can afford to stay in the luxury DeVere hotel on site. The course is a great test and even the best golfers will find it very challenging playing from the green tees (6951 yards) with a SSS of 73 and a par of 72. Both of Slaley's courses are worth playing and I would recommend anyone to spend a weekend at the hotel, let the wife visit the health and beauty spa while you play true championship courses that the European tour visits. Played Slaley Hall in September 1996 in the 'Ford Home International's' when I was on the N.Ireland team. I played 7 rounds on this super course, some very interesting golf holes particularly the 9th as it is a very long par 4 also the 18th were you have to hit an iron of the tee as a wood takes you to far down the hill and then you have a long iron to a big well guarded green. I played here in late May (98) and a combination of good weather and fast greens gave me the opinion that this must be heaven. There is something about everything on the complex which makes it feel like a very special venue. Played course end April and was extremely disappointed. Due to poor weather only 9 holes were open. Saying that the rest of the course had clearly not been maintained well and unfortunately did not live up to other reviews, I have read.